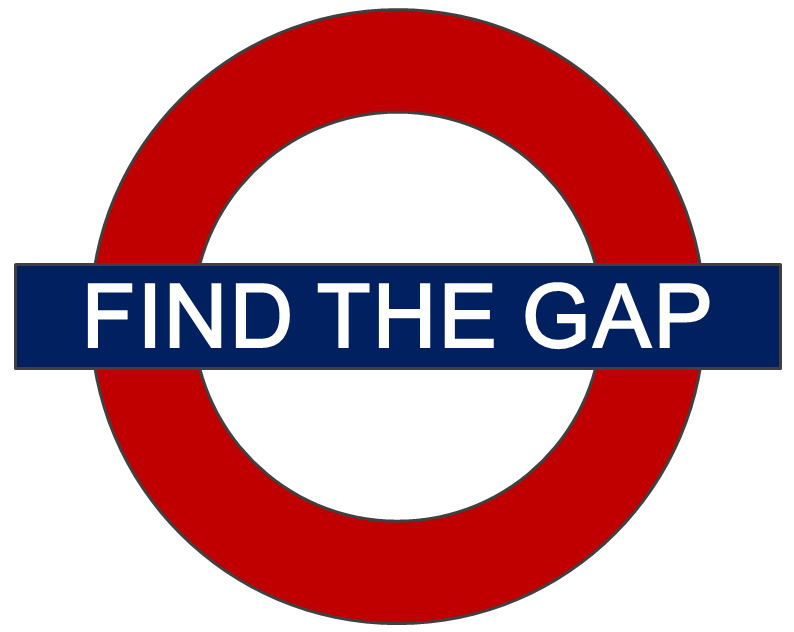 Home › Marketing › Don’t Mind the Gap – Find It! My latest book is “the marketing classic”, Positioning, by Al Ries and Jack Trout. I’m glad I finally got around to reading it, and I can see why so many colleagues (particularly you, Kevin), recommended it so strongly. In chapter seven, “Positioning of a Follower”, Ries and Trout talk about the challenge of securing a position when you are not first into the market. They quickly explain why many products fail (“The No. 2 thinks the road to success is to introduce a me-too product, only better” – p53), and then move onto strategies that help you to gain a position in the prospect’s mind. It turns out that the French aren’t only good at food, kissing, and wine; they’re quite adept at marketing and even have a phrase that is perfectly applicable to this situation: “Cherchez le creneau”, which approximately translates to “Look for the hole”, but sounds far more refined (as they say, the French have a certain…I don’t know what). In other words, go where no one else has. As Ries and Trout point out, this advice goes against the “harder”, “better”, “faster”, “stronger” North American-style, in which we typically focus on direct product comparisons in a belief that later is OK, so long as it’s better. But “better” is a very subjective thing, and usually doesn’t matter once a leader has established a position in the prospect’s mind; industry graveyards are littered with companies who have used better products to bang nails into their own coffin. But “better” is a very subjective thing, and usually doesn’t matter once a leader has established a position in the prospect’s mind; industry graveyards are littered with companies who have used better products to bang nails into their own coffin. “But Lee”, you might be thinking, “my market is crowded already, so this advice is dumb”. Ries and Trout are glad you said that, and you played right into their hands! Chapter 8, “Repositioning the Competition”, talks about what to do when you realistically cannot find a nice, cozy creneau. In their minds (and books), they conclude that “the basic underlying marketing strategy has got to be ‘reposition the competition'” (p61). In other words, “To move a new idea or product into the mind, you must first move an old one out.” (p62) …but that is a lesson for another day. Or, you know, just go buy the book. Ha, jokes are funny! I learned, while creating this image, that the font used in the London Underground signage is unique to the London Underground. This posed a problem, as I wanted to be as accurate as possible in my reproduction. In the end, after trying about a hundred different fonts and not really being satisfied with any of them, I thought “Whatever, ‘Arial Unicode MS’ it is.” So don’t go replying and telling me that the font isn’t a perfect reproduction…it’s OK, and gets the point across. I’ll also add that if you’re ever in London, do yourself a major simplifying favour and get an Oyster card.